‘A Knock at the Door’ is a new, female-driven horror short from the writing/directing duo of Wendie Weldon and Katrina Rennells. Wendie Weldon is an accomplished actress and producer. She recently wrapped a lead role in the indie film The Curse of Midnight and is in production on short films, My Name is Lamar, Paige Pounces, and Lissy Borton had an Axe. Wendie is producing and starring in several short films and most notably an original series “Worst Friends Forever”. Katrina Rennells is an actor, writer and director with an extensive resume in theater and musical theater. She’s also making a name for herself in short films. She wrote the film The Perfect One, wrote and directed the short My Best Friend, Daisy, and wrote and starred in The Printer. She was also 2nd AD on the Los Angeles CineFest winning and LA WebFest nominated web series Slightly Dramatic. The two are receiving considerable praise for their buzz worthy new short A Knock at the Door, currently on the festival circuit. Synopsis: Moments after a bloodcurdling scream disrupts Nick’s normally peaceful neighborhood, a frantic knocking at his door triggers events that unknowingly alter his fate forever. 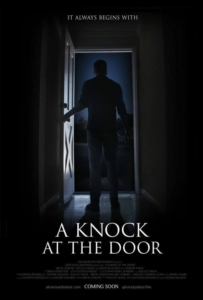 A Knock at the Door is a fantastic short film, with a story that is equal parts “The Twilight Zone” and “Scary Stories to Tell in the Dark”. It features high production value, strong acting, and an impressive show and understanding of filmmaking as the escalation of a party scene is expertly edited. 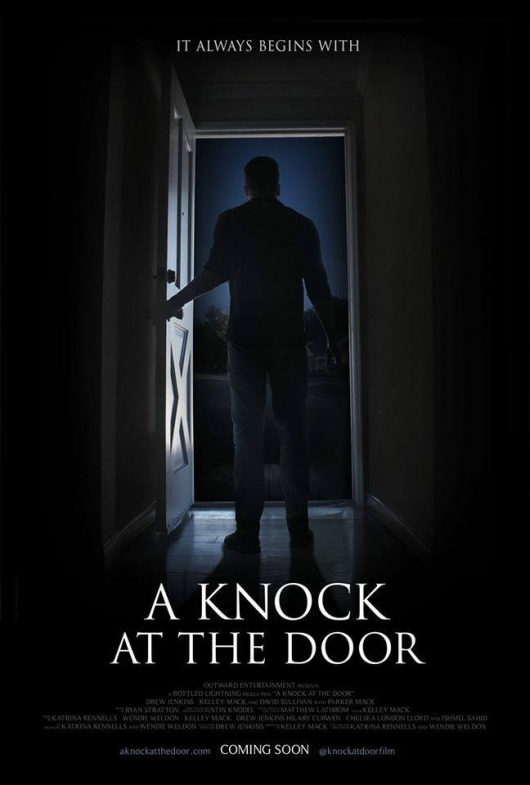 The best part about A Knock at the Door is the film reveals an increasing, underlying terror. The viewer never knows where the story is headed or what is going on. And when the situation is revealed, the first instinct is to watch it again to see the clues you missed the first go around. It’s a lot of fun and should put a big, twisted smile on the face of any horror fan. A Knock at the Door is making the festival circuit now. To find out where you can catch it next, be sure to visit the film’s website at aknockatthedoor.com or follow them on Facebook.